YAY CLAY! 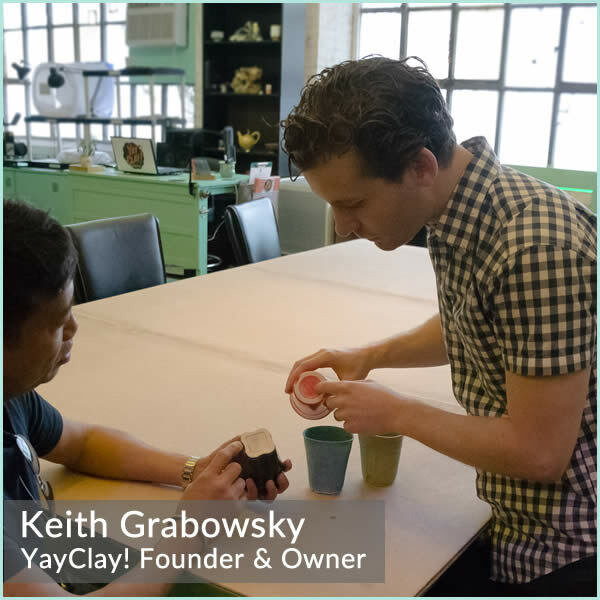 owner Keith Grabowsky has been working in the industry for over 15 years and received his BFA and MFA training from the top ceramic schools in the nation. Thinking about setting up your own art studio? Creating and maintaining a thriving art studio is not an easy task. Keith Grabowsky (BFA, MFA, professional sculptor, teacher and business owner) works with private clients on a consulting basis to deliver the tools needed to get new creative studios off the ground. Keith’s expertise and coaching will be the best investment you can make! Available by the hour, day, or project. Call today at 215-716-7176 for a quote.